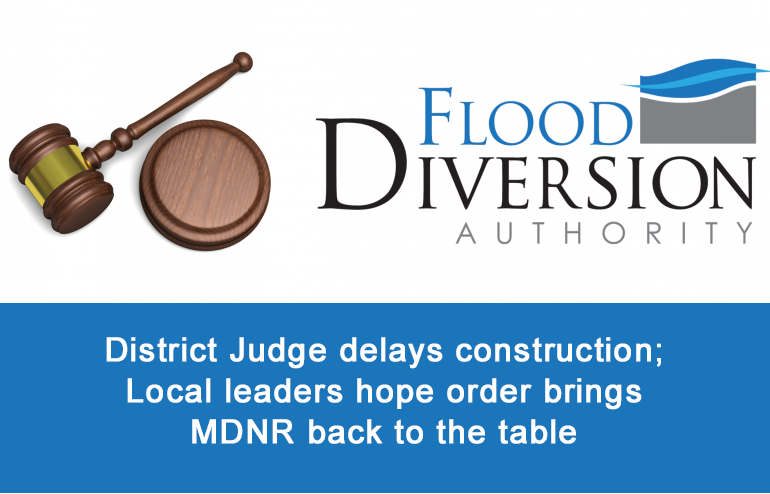 U.S. District Court Judge John A. Tunheim Thursday placed a temporary injunction on U.S. Army Corps of Engineers and the FM Area Diversion Board of Authority, forcing all construction work on the FM Area Diversion Project to cease. Construction on the Project began this spring, but will now be stopped. “We will need to consult with the Corps over what changes in the federal project can be made consistent with federal law. My expectation is that this ruling will be immediately appealed as it is estimated that the cost of construction increases the total cost by $60 Million a year and we simply cannot live with that level of financial risk, or the risk to public safety of not having protection,” Mahoney said.